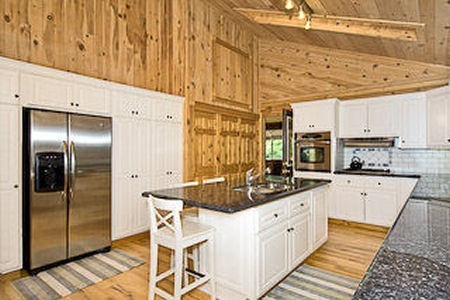 Living large takes on a double meaning at Timber Lodge. 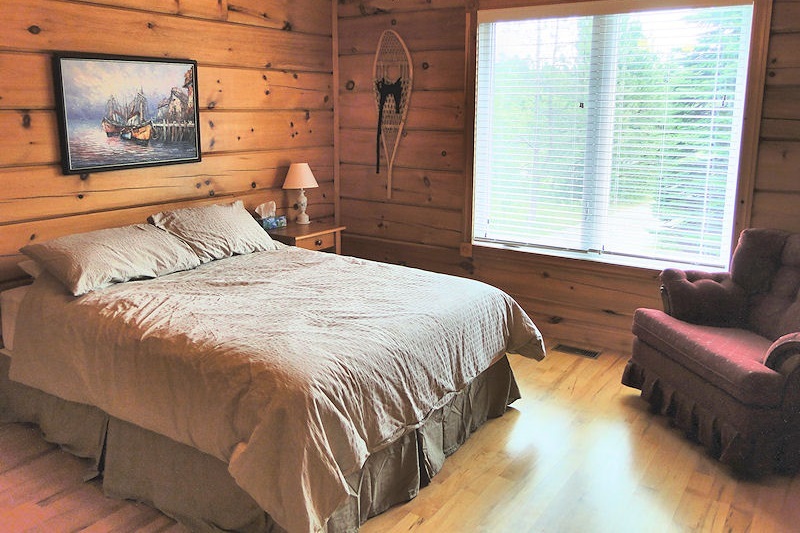 The size and amenity list of this wonderful Confederation Log Home on Six Mile Lake ensure that your "large" expectations will be met. 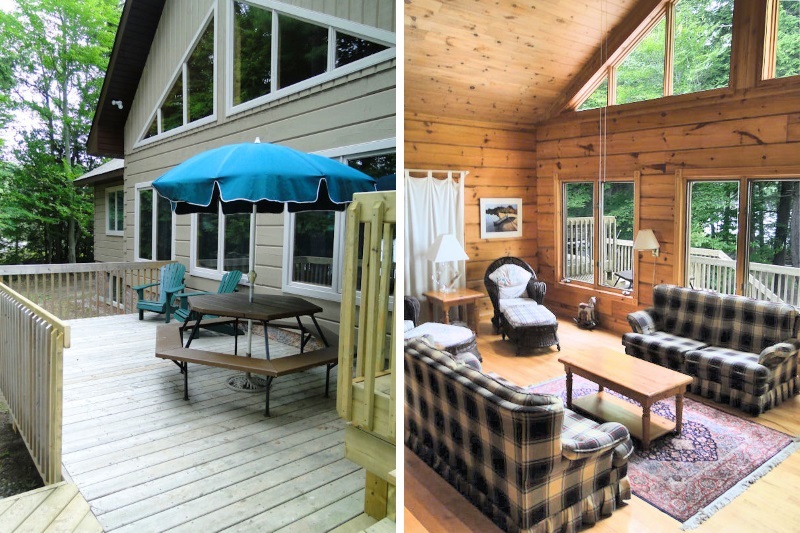 This residence is a showpiece of all-wood construction with the owners having created a roomy atmosphere brilliantly combining elegance and the feel of a "lodge" environment. 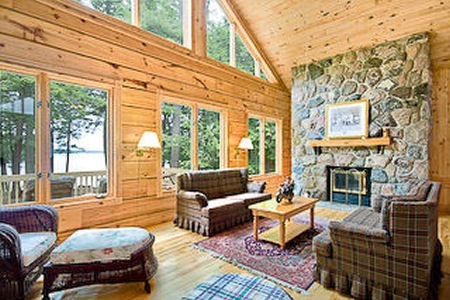 When you enter Timber Lodge, you immediately find yourself in, appropriately, the great room. 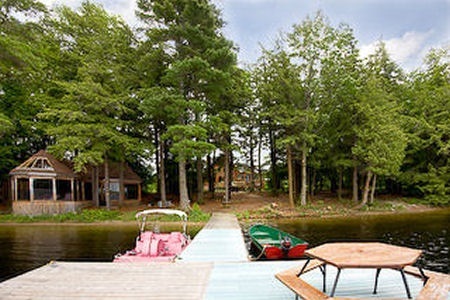 The focal point of the cottage. 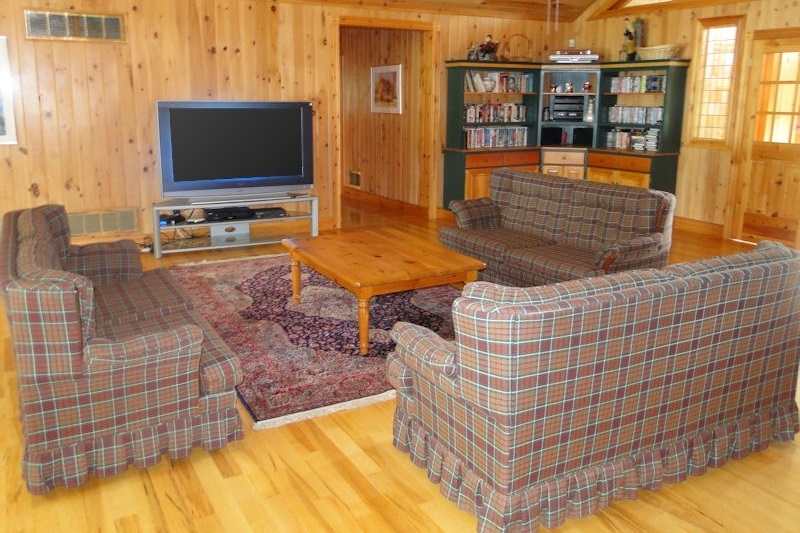 This will be where your group gathers to share relaxation and entertainment. As you would expect, the room features a large TV with satellite/DVD and a CD stereo for all your audio/visual pursuits. The cathedral ceiling gives an air of spaciousness, making even large groups feel like they have plenty of room. 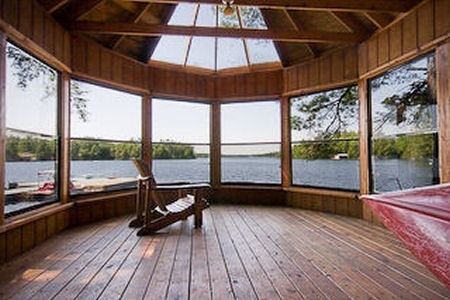 For more intimate discussion, a sunken area with a fireplace overlooks the lake from the back of the room. There are few cottages where the deck warrants a separate paragraph on its own, but this is one of them. 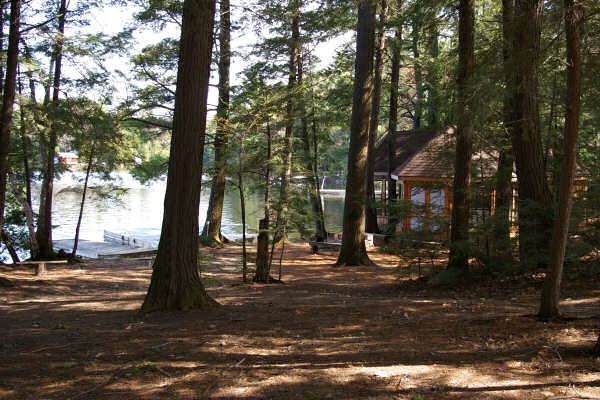 This L-shaped, screened-in living space surrounds the entire northwest corner of the cottage, surrounded by coniferous forest. Here you can have multiple groups enjoying the area without stepping on each other's toes. 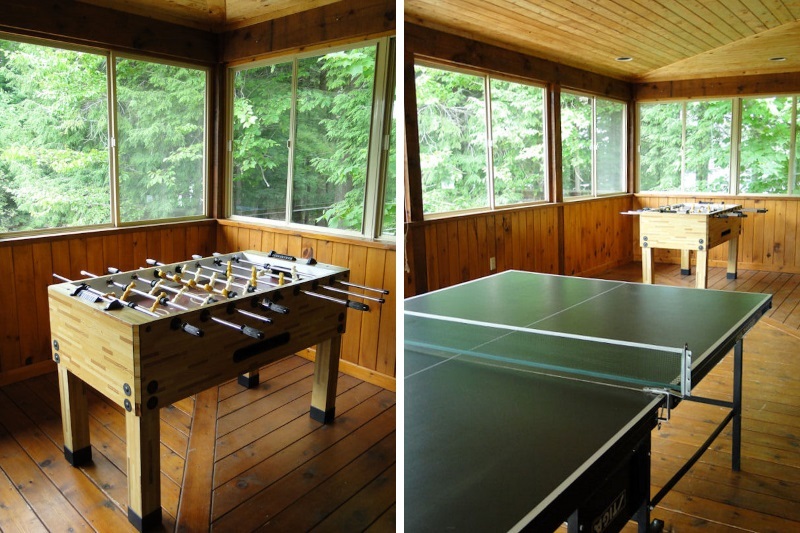 Perhaps the teenagers will enjoy a ping-pong tournamen or enjoy the foosball tablet, while around the corner the adults can sit and vie for euchre or poker supremacy. With any vacation, it is important that everyone is comfortable at night. The whole purpose of a vacation is, after all, relaxation. 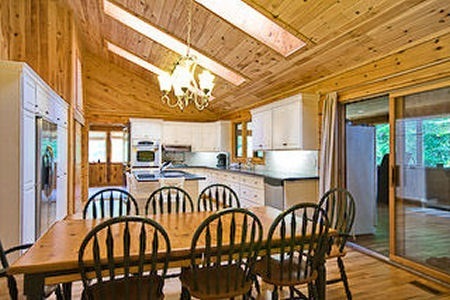 Timber Lodge continues to shine here. 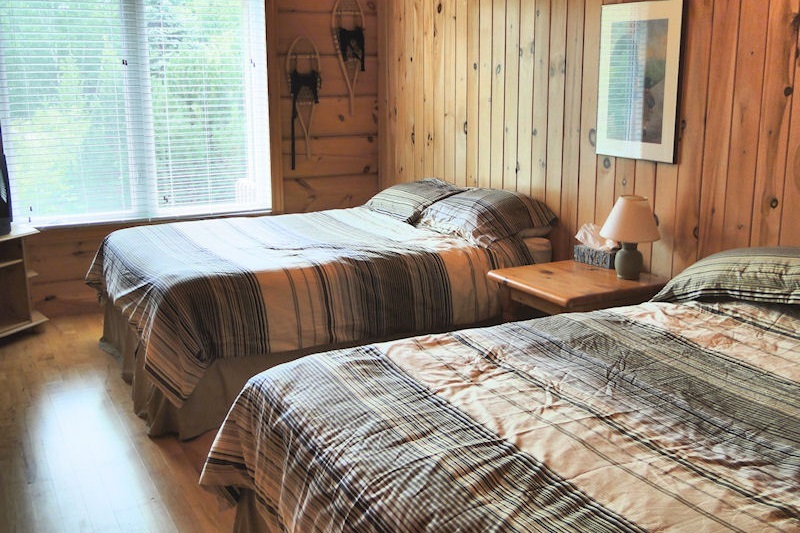 At the end of the hallway you will find sleeping accomodations that will ensure all guests awake refreshed and eager for another day of cottage fun. 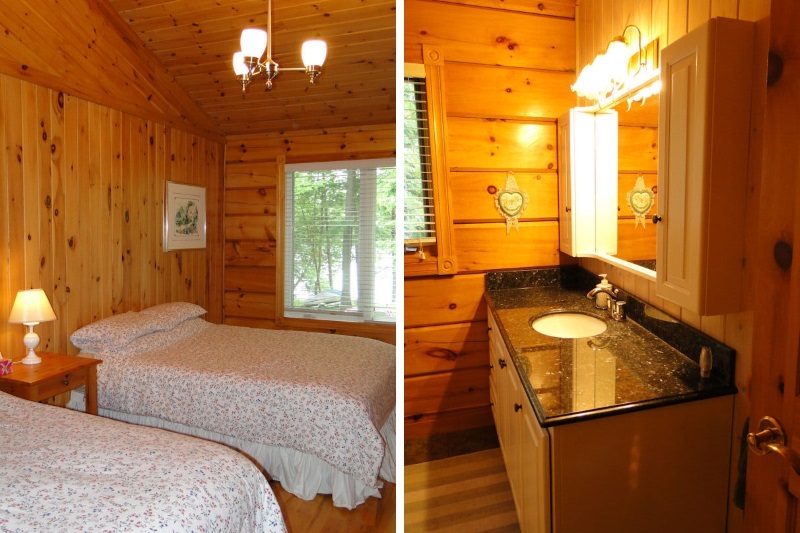 There are 4 bedrooms and two full bathrooms in this area, with total sleeping capacity of 12 in spacious comfort. 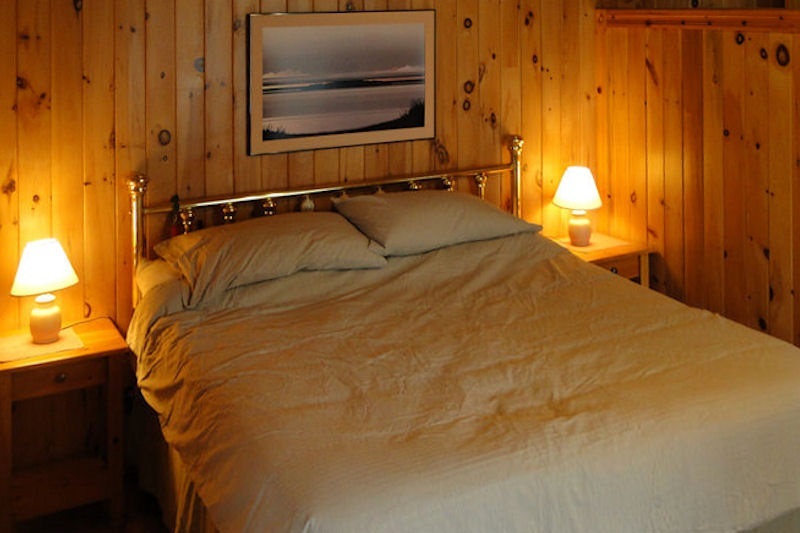 Mom and Dad, however, will pull rank and sleep in the fifth bedroom at the other end of the cottage. 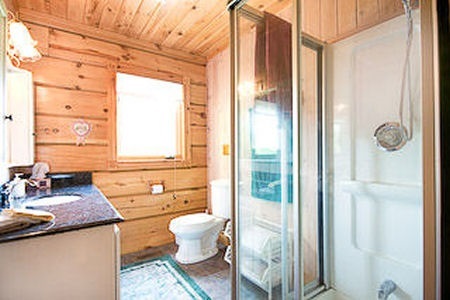 Complete with whirlpool tub, ensuite bath and gas fireplace, the master bedroom is worthy of that found in a 5-star resort. When you finally get over the awe factor and venture outside, you will see why the owners chose to build here. 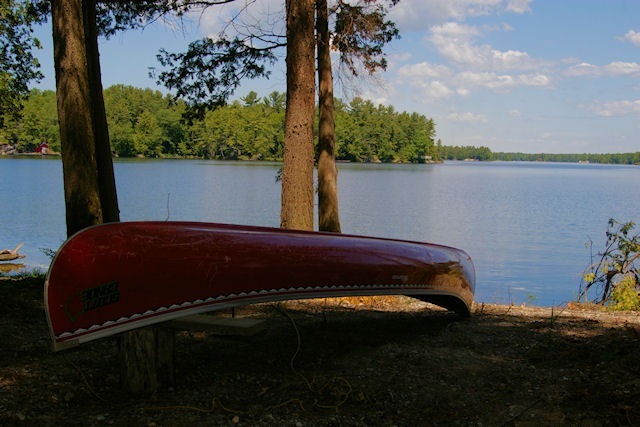 The 220 feet of waterfront is classic Muskoka....a hard-sand shallow entry, with deep water diving at the end of the dock.Two deluxe model pedal boats, two adult kayaks and two children's kayaks are available to use to explore the bays and shores of Six Mile Lake. A waterfront gazebo, almost a cottage in itself, is there for those who just want to enjoy some peace and quiet at water's edge. 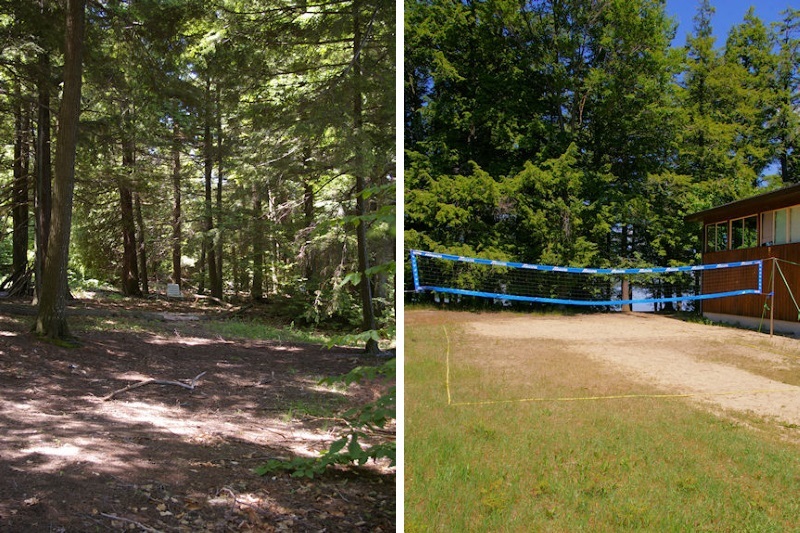 A sandy play area for youngsters and a beach volleyball court for all ages rounds out the features. 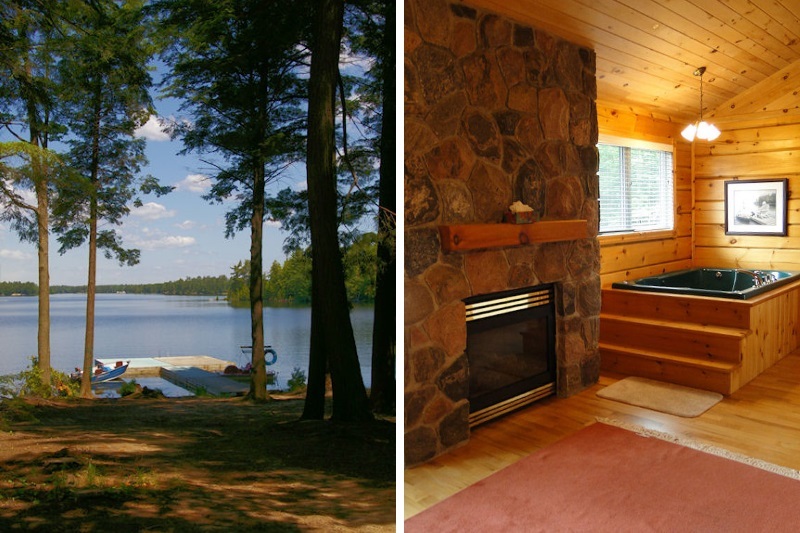 Timber Lodge offers so much, just a short 2 hours from Toronto. 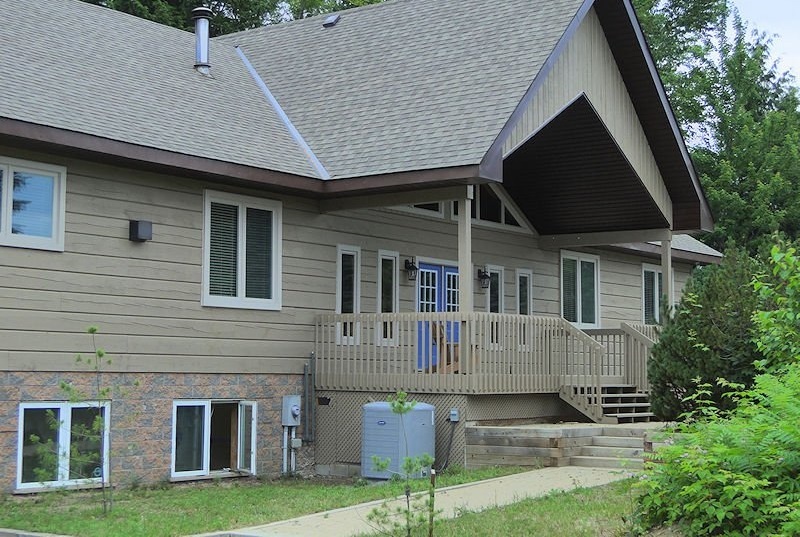 If your group is looking for your own private lodge, you may have found it here! 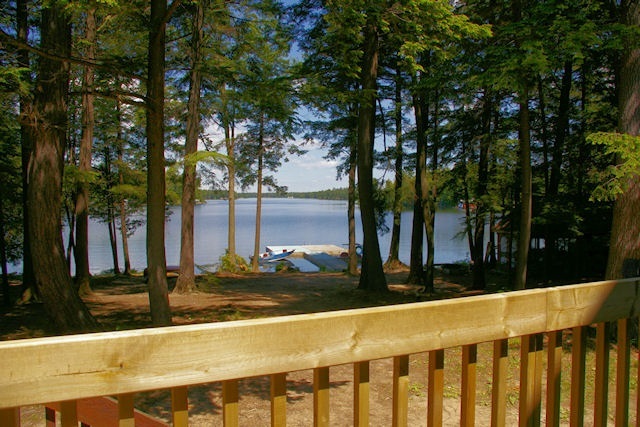 The entry to the lake is sandy and gets softer as you move into the lake. 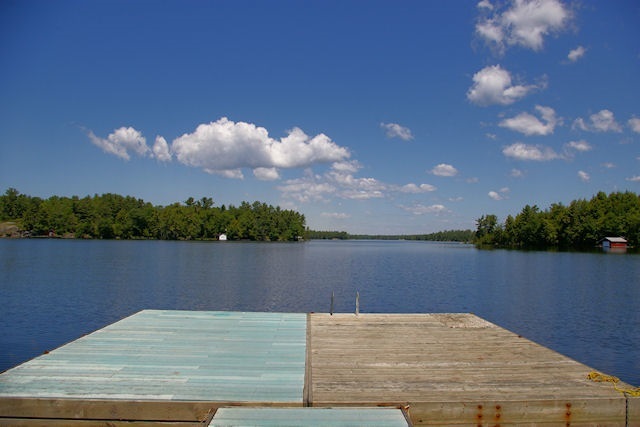 There may be weed on one side of the dock but the other is generally clear. Copies of the book "Echoes of Six Mile Lake: A Journey Through Time in Muskoka" are are available at both marinas on the lake, the Honey Harbour Library or the Chamber of Commerce in Port Severn (Bressette House).